A retail merchandising analyst helps maximize the profit potential for a retail store or retail chain. By analyzing inventory risks and opportunities, and implementing inventory allocation strategies, the merchandising analyst improves cash flow and increases profit margins. Retail merchandising analysts almost always work at the headquarters of the retail company, where interfacing with the marketing and finance departments, as well as buyers and senior leaders, is easiest. 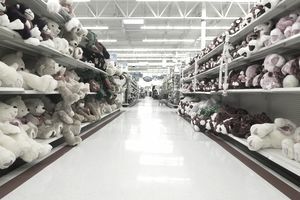 Merchandising analysts are sometimes also tasked with the responsibility of supply chain management, depending on the size of the retail chain. But the largest U.S. retail chains separate the two positions, allowing them to focus on specific aspects of the flow of merchandise in and out of the retail stores. Merchandising analysts also work closely with category managers in retail chains that are large enough to employ them both. While visual merchandising and sales merchandising are both creative, active "field" jobs, a merchandising analyst position is best suited for someone with a mathematical, logical, left-brain oriented mind who likes to work with computers at a desk in an office setting. A merchandising analyst streamlines the flow of merchandise through a retail outlet by providing the organization with trend analysis, allocation, and guidance. Trend analysis: Analysis responsibilities include monitoring store category sales, supervising physical inventory, identifying trends, and monitoring the timing and scope of seasonal changes, While retail store managers are focused individual store sales results and district managers are focused on trends within a designated region, merchandising analysts are responsible for keeping a big picture view of trends for the entire chain, and the flow of merchandise both in and out of the retail supply chain. Inventory allocation: Allocation responsibilities include maintaining desired inventory levels and assortments, scheduling deliveries, and overseeing shipping/receiving and warehousing of merchandise. Working directly with suppliers, merchandising analysts develop supply strategies that will minimize stockouts while maximizing inventory turns. Management guidance: Retail chain owners and senior managers also look to the merchandising analyst to provide guidance about selling patterns, the timing of future purchases, and purchasing philosophies. Accurate and insightful information from a merchandising analyst is crucial to key decisions that will impact cash flow and overall sales performance. In a world where fast fashion is a dominant trend, and retail chains like Zara and Forever 21 are dominant, merchandising analysts in the most popular apparel chains will have high-pressure, fast-moving job responsibilities. In global retail companies like Walmart and Costco, merchandising analysts will often need to provide guidance to leaders and decision-makers on a global scale. A blend of merchandising and data analysis experience are desirable for a merchandising analyst. Significant analytical experience and computer proficiency with programs like MS Excel and/or Access are essential. Strong written and verbal communication skills are also necessary. Organization, creative problem-solving, and a continuous improvement mentality are key qualities for success in this career. A bachelor’s degree in finance, accounting, or economics is preferred. Other degrees or no degree at all are sometimes acceptable with a combination of retail, buying, and allocation experience. A master’s degree is a plus and may be a prerequisite, depending on the size and scope of the retail operation. There is a salary range of $30,000 - $90,000 for merchandising analysts. The size and sales volume of the retail operation is a key factor in determining compensation, as well as the scope of responsibilities within the organization. A successful merchandising analyst will often be given senior advisory functions, and receive additional compensation that corresponds with the added responsibilities. The position usually comes with a full benefits package, which often includes merchandise discounts.